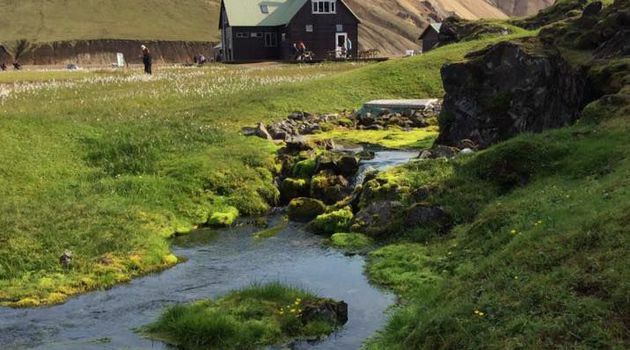 See one of Iceland’s colorful pearls in the breathtaking highlands Join our self-guided, scheduled bus, that will take you along Landvegur up to Landmannalaugar along the way we drive close to the roots of Hekla one of Iceland's most active volcanoes. breathtaking scenery. 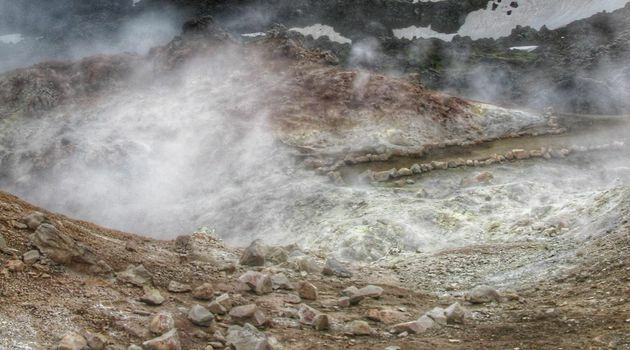 It is one of the most comprehensive day tour you can find in Iceland. We drive on a mountain bus by the roots of Mt. 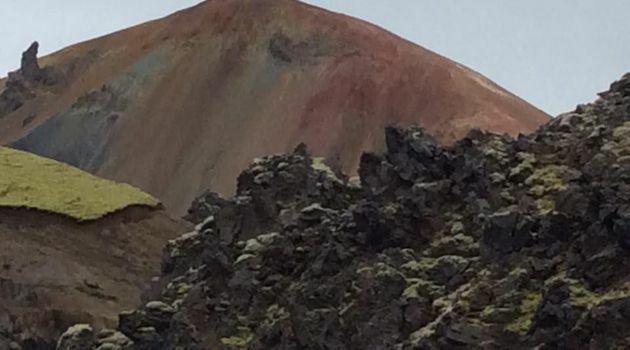 Hekla, Iceland’s most active volcano. 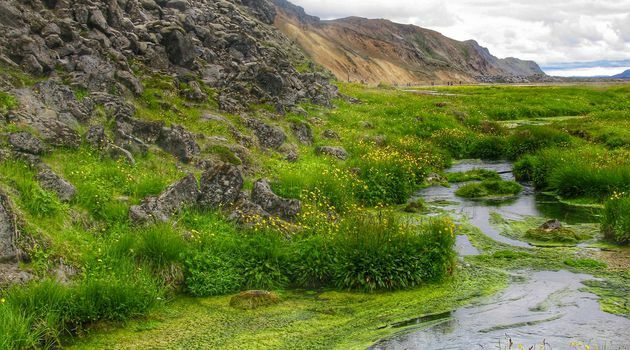 Pass through Þjórsárdalur valley a landscape of sharp contrasts, such as remarkable waterfalls, woodlands and sandy lava fields. 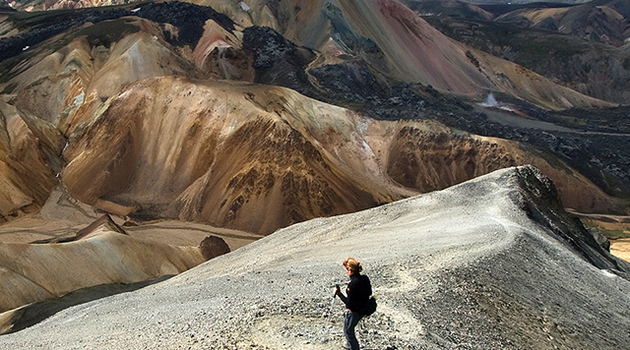 Up to Landmannalaugar highlands surrounded by colorful rhyolite mountains and black expansive lava field of Laugarhraun. 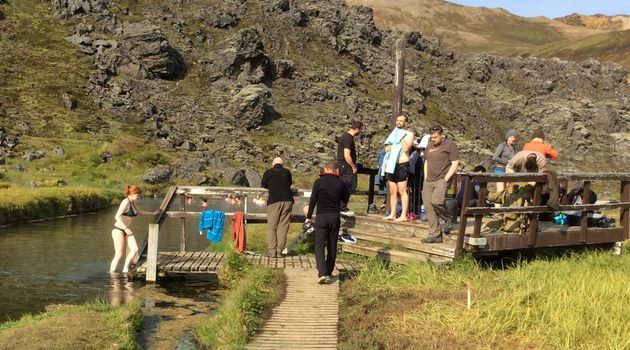 We stop for 6 hours in Landmannalaugar that gives time to hike and enjoy the local natural geothermal pool for perfect relaxation. 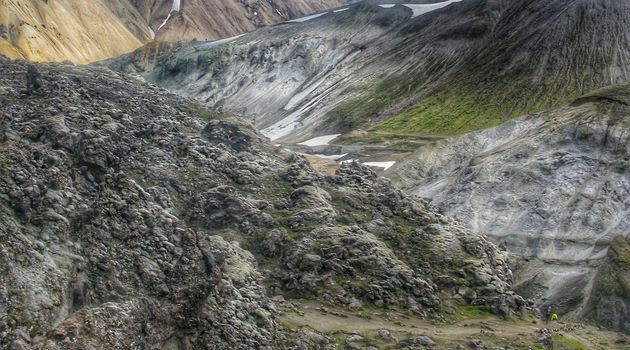 NOTE: This is not a guided tour but hiking maps are sold at Landmannalaugar. 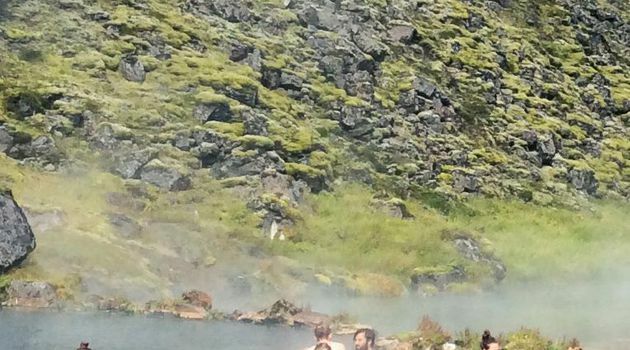 Bring along warm layered clothing, a hat, gloves, good shoes, swim suit and a towel (if you want to enjoy the geothermal river). We highly recommend bringing a packed lunch and snacks. Be sure to visit the Mountain Mall café, a primitive coffee house is operated in old school buses on site. A small fee for facilities is required on site. 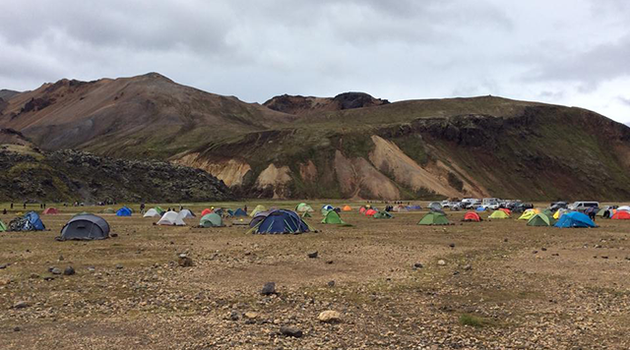 Pick up from Hveragerði is at info center and camp site at 07:55 and from Selfoss at N1 gas station and campsite at 08:15. 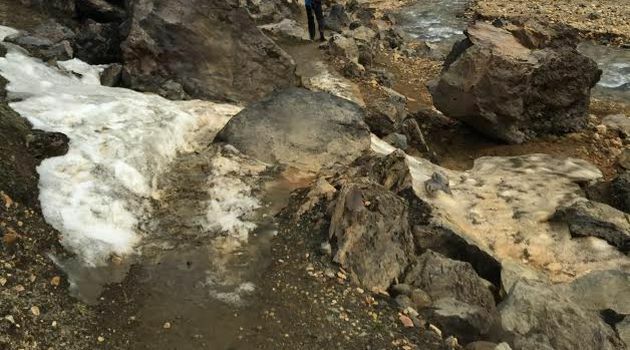 Warm layered clothing recommended, hiking shoes, bathing suit, towel, packed lunch and snacks. 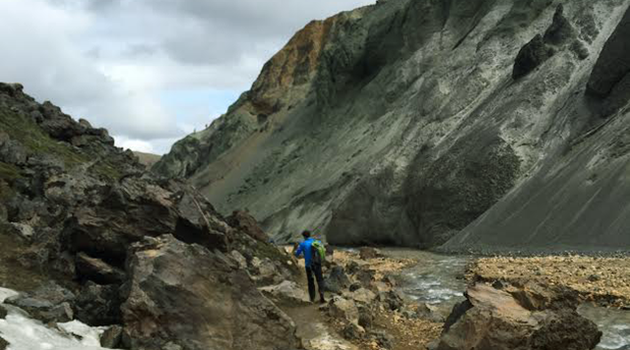 Landmannalaugar, rhyolite mountains, lava fields, natural hot springs to bathe in.